Marla Martenson is an award winning author, crystal/energy healer, angel communicator, and real life Cupid. She has been using her intuitive skills to connect singles with their soulmates for over 15 years. 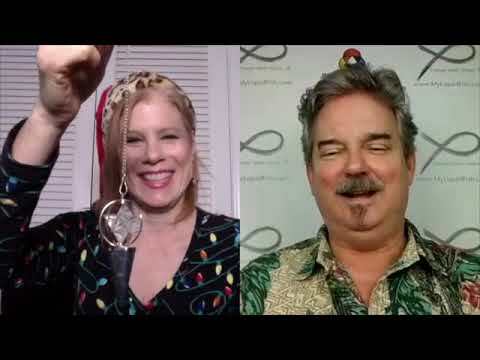 Marla also hosts a podcast called, The Mystical Matchmaker and the Youtube Show Cosmic Conversations, were she interviews experts on all things magical. Marla’s first love is writing. I'm a coach on Magnifi, a phone app that let's you video chat with a coach and pay per minute. Just search in the app store, it's a FREE app. In the spirit of the season, please enjoy this special holiday gift for you a 50% discount on a call with any expert on Magnifi. Available from now until December 31. Please update to the latest version in the App Store now. Enter the code on an Expert's pre-call screen after tapping the Call button. If you need some clarity on love, dating, relationships, or just life! Connect with me on Magnifi!! I'm a coach on Magnifi, a phone app that let's you video chat with a coach and pay per minute. Just search in the app store, it's a FREE app. In the spirit of the season, please enjoy this special holiday gift for you a 50% discount on a call with any expert on Magnifi. Available from now until December 31. Just use coupon code: HOLIDAY2018 How to Use a Coupon: Please update to the latest version in the App Store now. Enter the code on an Expert's pre-call screen after tapping the Call button. If you need some clarity on love, dating, relationships, or just life! Connect with me on Magnifi!! Single & looking for your soul mate? Wondering why it's so damn hard to find the "right" person? You’re intelligent, passionate, kind, successful, adventurous, funny, creative and more… but the dates you’ve been going on haven’t panned out and you’re thinking of taking a break or giving up completely. But wait.... before you resign yourself to another night of gluten free pizza and cat videos, let’s Amp Your Energy! We're going to fine tune your chakras, raise your vibration and shift your attitude! I created this mini offer for when you need a little sumpin’ sumpin’ to get you back on track. Happy Sunday everyone. October is my favorite month, always has been. Growing up in Seattle it was all about the leaves.. I loved the colors of the leaves, the smell of them wet on the ground, the sound crunching under my feet. October is also the start the holiday season, thoughts of spending time with loved ones, (and lovers) also a reminder of the year winding down heading to a new year and fresh new possibilities. It's a great time to manifest! I've created a powerful 7 minute guided meditation targeted at singles to raise your frequency to attract your soul mate! And guess what? It's FREE. If you're a self-help junkie like me, you'll love this list! 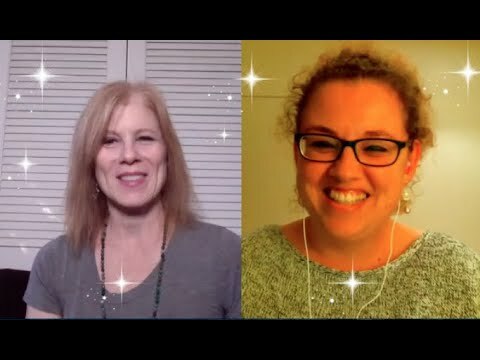 I was interviewed on Super Power Up! 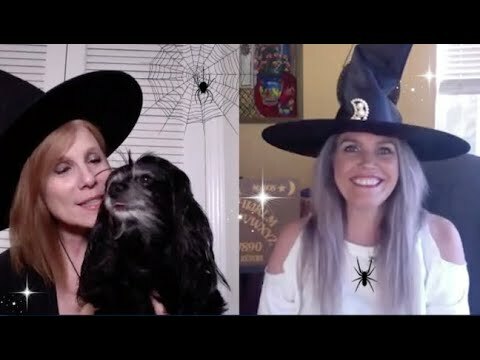 We chatted all about soul mates, what they are and how to find yours.. it was a fascinating chat! You can listen here or read the transcript.... here's a snippet! That’s what people want to know, “When am I gonna meet that special person?” So, they’re looking anywhere they can, even to the angelic realm, to find out. ?